FORMAT/INFO: Children Of Blood And Bone is 531 pages divided up into 85 chapters with an epilogue. The story is told in the first person point of view alternatively through characters Zélie, Amari, and Inan. The gorgeous cover jacket is by Rich Deas. Children Of Blood And Bone is available in all formats with a film adaptation from Fox scheduled for production. OVERVIEW/ANALYSIS: There are things to love about Tomi Adeyemi’s debut novel, Children Of Blood And Bone, a book that was hyped enough to reach even those of us who do not often venture into the YA category of fantasy books. The very fact that a work so Afro-centric has received such attention is cause for much praise and stands alongside the Black Panther movie as proof that straight, white protagonists are not the standard for success. But make no mistake about Children of Blood and Bone - it is a flawed book. That doesn’t mean that this isn’t a worthwhile book, but it’s not the next Harry Potter even if it’s marketing team is desperately trying to convince everyone that it is. Rather, it is another in a long line of good YA fantasy novels that fails to ever rise above its peers. The story of Children of Blood and Bone takes place in a mythical African nation called Orïsha, where in the not-so-distant past King Saran, a tyrant if ever there was one, put to the sword all maji of the realm and cut those with maji blood off from the source of all sorcery - in this case the gods of the land themselves. Our main character is Zélie Adebola, a white-haired, fiery young girl who once would have been a powerful maji, but who, in this harsh new world, must train herself physically with stave while brewing rebellion in her heart. Zélie is angry, justifiably so, and most of this rage is focused on an empire that stole, and murdered, her mother simply for the crime of wielding magic. It is not until we meet Amari, King Saran’s daughter and less-favored child, that we see Adeyemi’s unique method of storytelling as she weaves in a second first-person viewpoint into the narrative. If that weren’t enough, she does it again with Amari’s brother Inan, giving us three first-person points of view. I have never seen this done before, and it was completely jarring. I respect innovation, but I think there is a reason that writers do not attempt multi-first-person narratives. When we use the word ‘I’, it is very specific to one person, and we have an entire lexicon of novels throughout history that have trained us to read books this way. I found myself confused about whose eyes I was seeing the story through at several times throughout the novel, despite the chapter headings spelling out quite clearly who was in charge of a section. Adeyemi has such short chapters that it can be easy to lose track of who is doing the thinking. Her characters are, thankfully, unique enough from one another that eventually a rhythm is established. We know if our thinker is righteous and angry that is likely Zélie, or that if it is unsure and afraid that it is Amari. We always know when it’s Inan because he never stops dreaming about Zélie. I firmly believe that had this book been in the third-person point of view, that I would have enjoyed it about twice as much, despite its other flaws. I know that young adult novels tend to use the first-person, but it is clear that Adeyemi did not want to limit herself to a single viewpoint and thought she’d found a solution. Regrettably, I don’t think it was the right one. Zélie and Amari quite literally run into one another, and it is Amari’s theft of a precious scroll from her father, the Tyrant King himself, that leads the pair of them, along with the ever-sacrificed Tzain, Zelie’s brother, on a journey across the nation in an attempt to restore magic to the land. Zélie’s brief contact with the scroll awakens her latent magical abilities, and it is this catalyst that helps them realize what is possible - the maji can return. 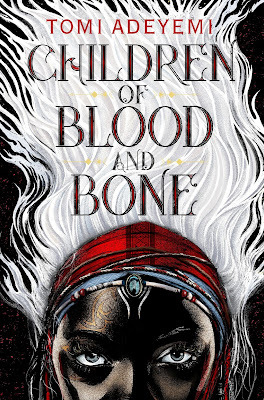 Despite its flaws, there is much to praise about Children of Blood and Bone. I love Adeyemi’s magic system. She divides magic up into schools, which is by no means revolutionary, but I felt excited at the prospect of discovering each different type of power. Zélie herself is an untapped Reaper, a maji who controls the spirits of the dead and can send them against her enemies. Adeyemi’s religion is another fascinating subject and her depiction of hell as a place for people who suffer horrible deaths is both terrifying and intriguing. One of the reasons for Reapers is to find these suffering souls and bring them redemption (which often means they will be pointlessly used up in one of Zélie’s many practice sessions, begging us to ask whether or not she is redeeming anything). Other schools include the standard fire and water hurlers, one that tames animals that I would have liked to see more of, and even one that has the ability to shape metal on a whim. Each magical ability corresponds to a specific god, which is a tidy way of setting everything up. Adeyemi’s characters are also flawed but powerful humans, full of angst and doubt and attempting to find their place in the narrative. They grow, particularly in the case of Amari, and it is a pleasure to journey with them across this Orïshan landscape, discovering ancient temples and meeting a motley crew of savory and unsavory types both. Adeyemi shows us a land like our own, but removed and somehow larger in scale. Her panthieres are like panthers, but huge. This brings me to another large critique I had with Adeyemi’s methods. In a way, this book could be categorized as an alternate history fantasy. Portugal and Spain and the United Kingdom all exist, but with garbled up names that do nothing to disguise their origin. I wanted more originality than this in a novel that is already pulling from many different sources for its overall scheme. 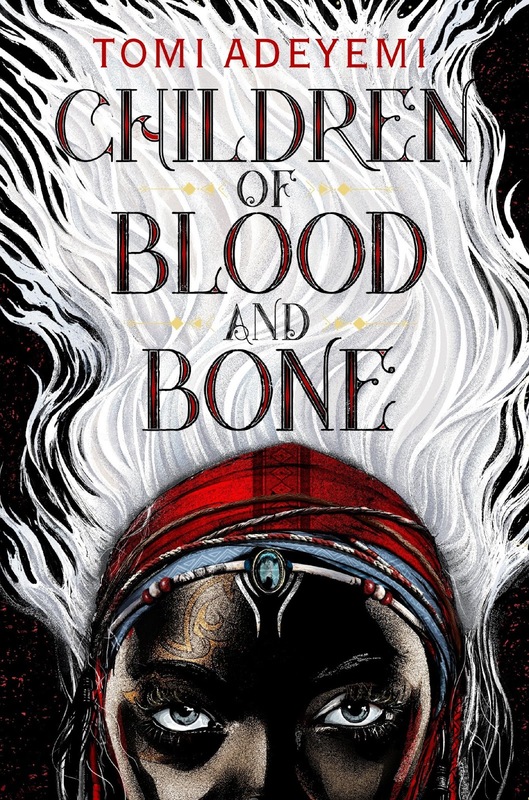 CONCLUSION: There is an appeal to Children Of Blood And Bone that is undeniable, from the work of art that is the cover design to a roster of characters that touch all points of humanity. There is heart to this work, and a spirit of resistance that will reach down into the rebel in all of us. But I believe that much of what is here is formulaic to the point that it feels false. Reading of Adeyemi’s seven-figure movie deal does not dispel my disappointment that this is perhaps a case of over-marketing for a series that unfortunately will not become what African fantasy lovers deserve. Children Of Blood And Bone is good, but it is not great. That said, Tomi Adeyemi is young, in her early 20s, and if this is her debut novel, there is every reason to believe that what she produces in the years to come will be phenomenal.